In December 2018, Larry Brown was elected President of the Washington State Labor Council, AFL-CIO, the state’s largest union organization, representing the interests of more than 600 local union organizations with some 450,000 rank-and-file members. He began his four-year term on Jan. 5, 2019. 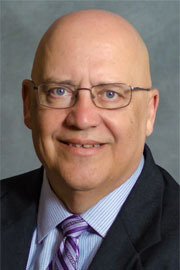 Prior to his election, Brown served as Legislative and Political Director of Machinists (IAM) District Council 751. He first became a member of the IAM in 1983 as an inspector at Boeing, after serving in the U.S. Navy from 1973-1977. Brown joined the District 751 staff in 1997 and has served as a Business Representative before becoming Political Director. He helped establish the Aerospace Joint Apprenticeship Committee and has served on the Board of Trustees for Green River College from 1998-2011 and the State Board for Community and Technical Colleges from 2011-present. In 2017, he was also elected to serve on the Auburn City Council.